Feels good to be finally ready for setup and strings on this guitar. I'm very curious to see how it sounds as it is my first excursion int the classical/nylon sting world. 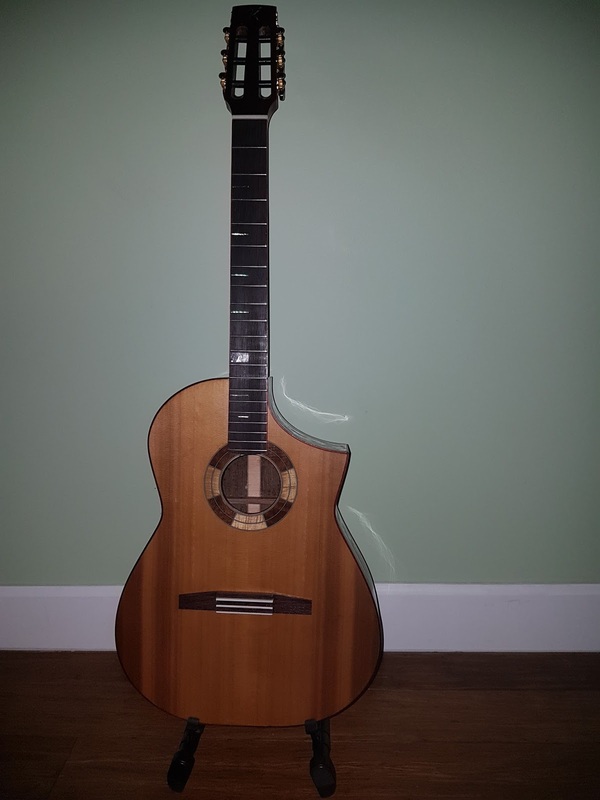 It is a basic classical body shape but with a narrower and radiused fretboard. Bracing is based on a Flamenco guitar plan but modified to hopefully give back some sustain. 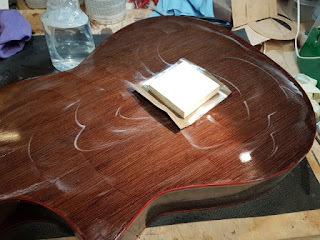 ( Sorry Paco)..
Well that took a couple of do overs and a bit of cursing but finally go the finish on the Crossover Guitar done.. Used Royal Lac Post Catalyzed finish.. Works nice once I sorted out all my issues..